Every home should tell a story — which is why now more than ever, designers are using recycled materials for their latest projects. 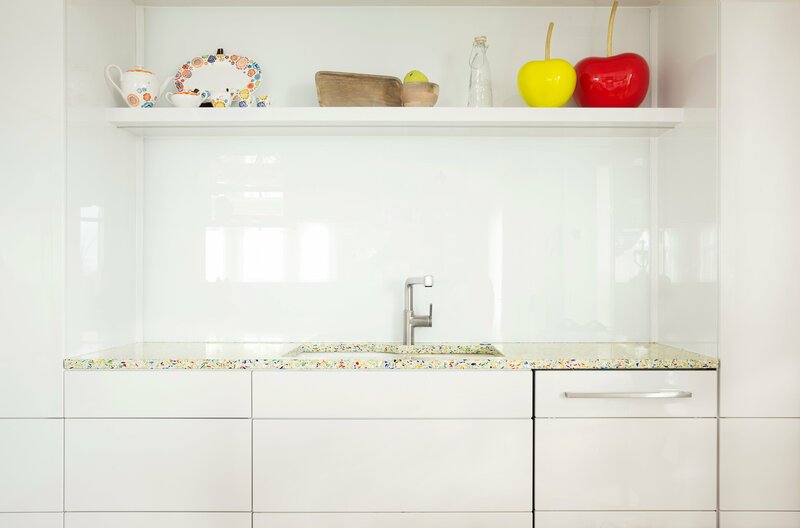 Vetrazzo, creates recycled glass countertops sourced from car windshields, jars, beer and wine bottles, reclaimed glass from building demolitions, broken traffic lights, marble chips, and even oyster shells. 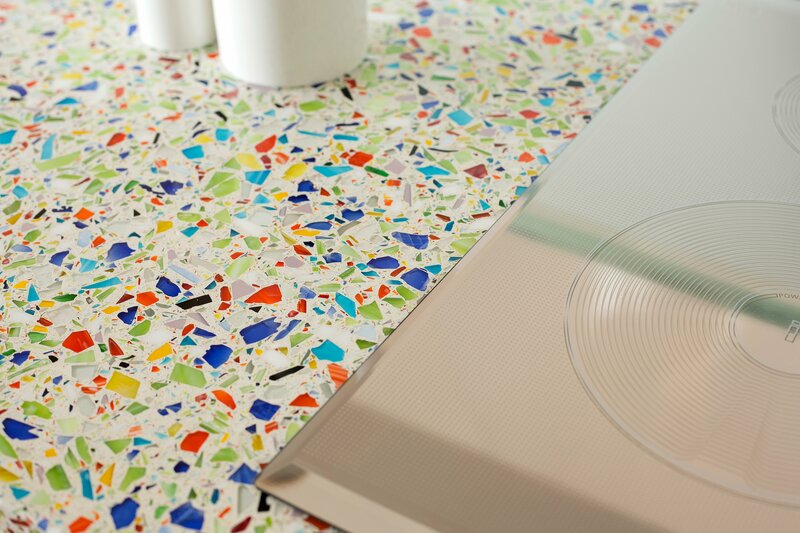 Vetrazzo is a modern take on Terrazzo — a trend we’ve seen making a quick comeback. The Millefiori color mix is made from recycled art glass. Terrazzo dates back more than 500 years and originates in Italy when Venetian construction workers found a way to reuse remnants from the job. They began mixing scraps, consisting mainly of broken stone, marble, glass and granite, with clay to create flooring for their own homes. Throughout its evolution, the material made its way to the U.S. and was pieced together using cement or epoxy — the flecked material was typically found in mid-century buildings, like schools, hospitals, and office buildings. Consider Terrazzo a hodge podge art project of sorts that over the years has taken on a more modern form. 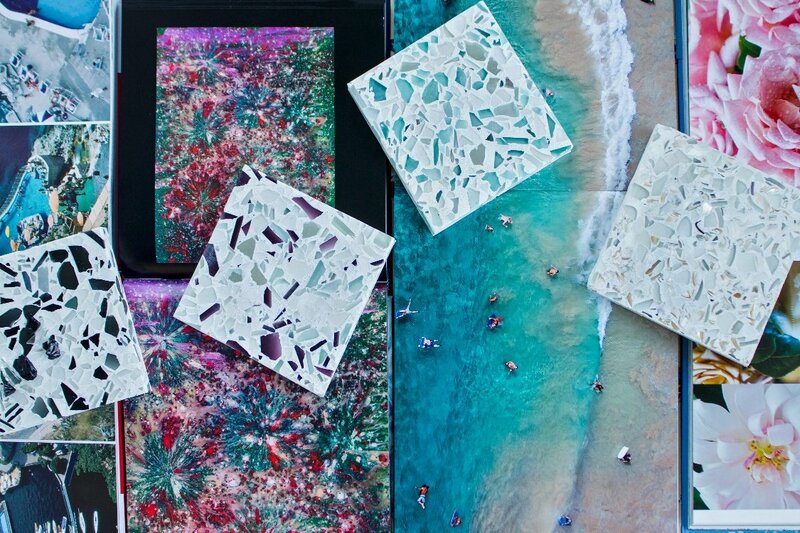 Vetrazzo was founded in 1996 when a Berkeley, California based scientist invented a mix of recycled glass slabs that were not only durable, but also beautiful. Ten years later, Vetrazzo was patented, and later acquired by Polycor. Like Terrazzo, no two slabs of Vetrazzo are the same. Every piece of glass is placed by hand in its atelier in Tate, Georgia. Vetrazzo is made from cement or resin binder, and is available in 1, 2 and 3 cm thicknesses and polished and Sea Pearl finishes. 100 percent of the glass used in Vetrazzo is recycled from U.S. sources — some colors even have stunning chips that originate from American marble quarries or from oyster shells along the Carolina coast. 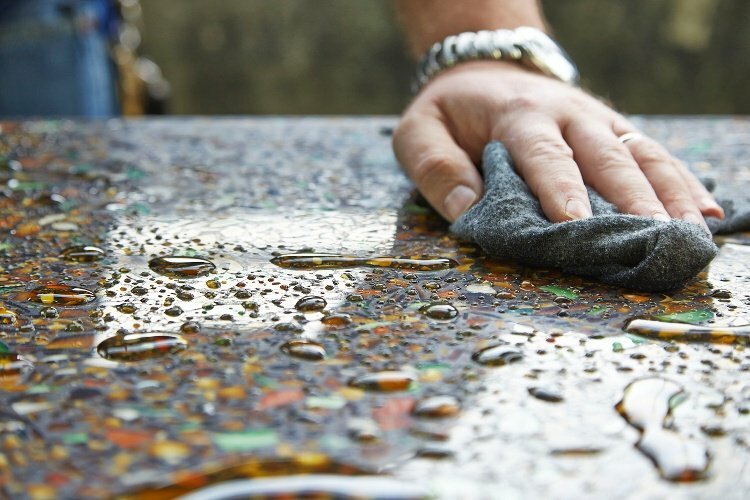 Vetrazzo’s largest source of glass comes from neighborhood curbside recycling programs. Terrazzo, on the other hand, is made predominantly of pebbles and an agglomerate of other stones. Each slab features 560 pounds of recycled glass that takes one full day to create with the help of eight different workers. The fabrication process takes up to four weeks to cure until a work of art is born. 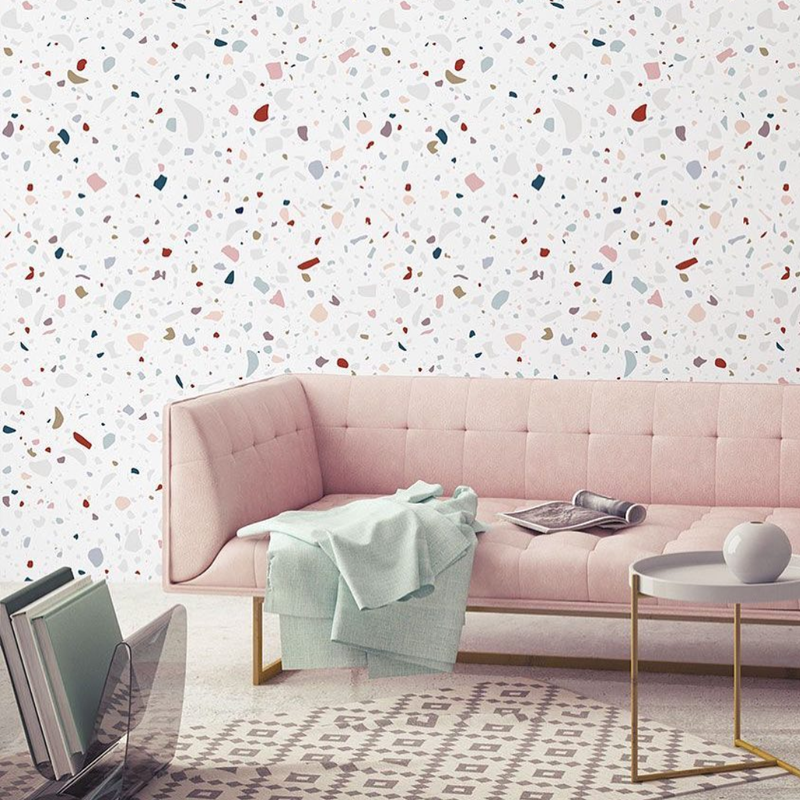 This fun, confetti-like speckled material is now popping up everywhere, and is taking on bigger, and brighter forms. Homeowners can go bold and incorporate the look in their backsplash, countertops, flooring, or a custom table. Or they can dip their toes in first and incorporate this bold pattern into their homes with wallpaper, ceramic dishes, furniture or bedding. Today, designers like Laura Umansky of Laura U Interiors, are incorporating Vetrazzo’s modern and eco-conscious aesthetic into product lines. Umansky’s Vetrazzo by Laura U line line of recycled glass surfaces feature four color ways, including purple, black, neutral pearl, and a vibrant aqua. Two of these new collection colors, Classic Black and Aqua Current are inspired by old Hollywood glam. The Vetrazzo by Laura U line is part of Vetrazzo’s Designer Collection, and is made with bio-resin instead of concrete. The ultra-durable resin makes it easier for an array of applications, including thin counters and large format tiles. 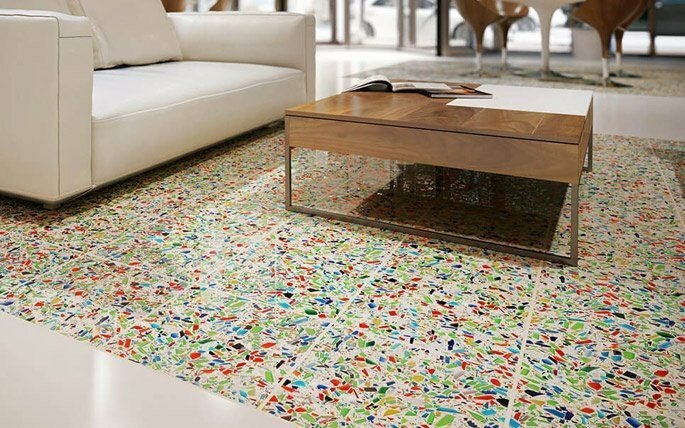 Now designers and homeowners craving that mid-century Terrazzo floor can achieve the look with recycled glass. 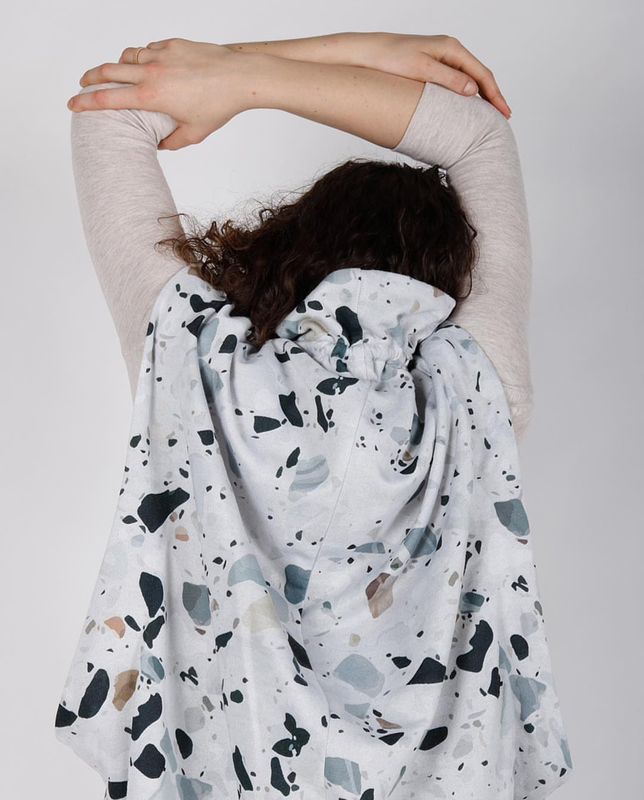 No matter the use, there are now more options for Terrazzo inspired designs than ever before. In part, because of Vetrazzo's rainbow of color options that are now available in furniture too. From floors and walls to countertops and tables, every surface is brimming with history, and color. 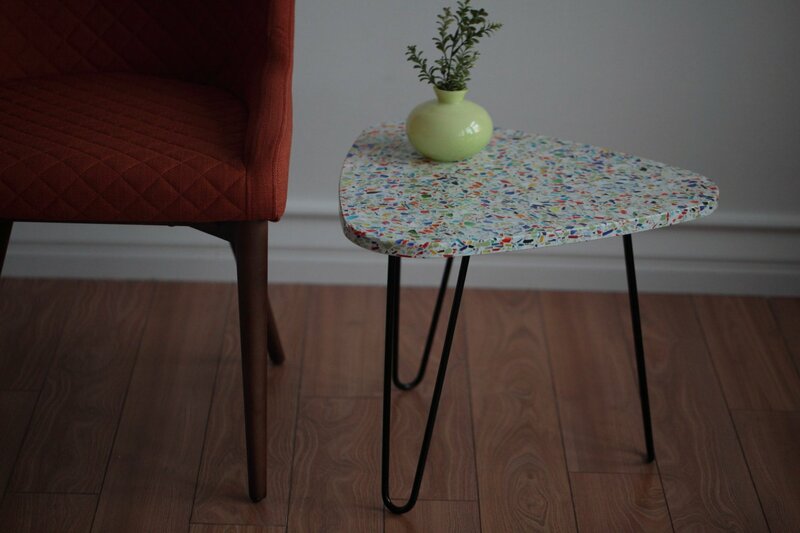 You can add a piece of Terrazzo inspired furniture to your collection with a side table crafted from Millefiori or Aqua Current recycled glass material. Click here to shop.